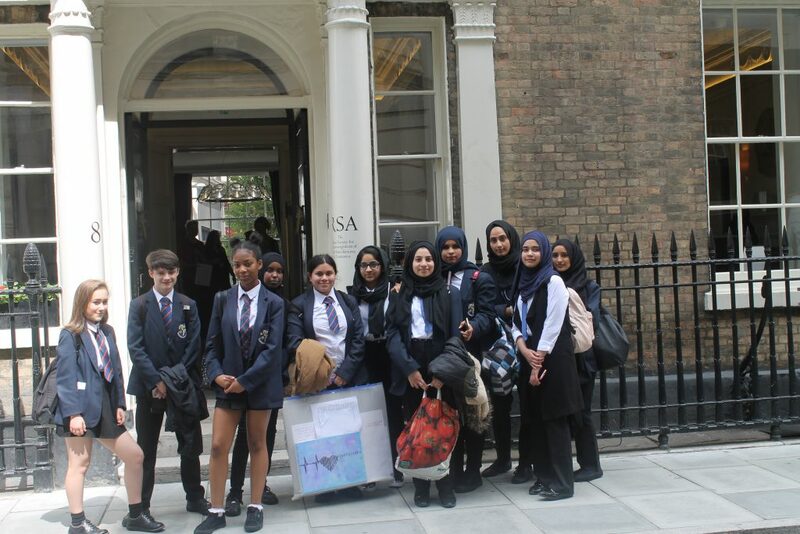 Three teams of Derby High students (the most represented by any single school in the final) provided a spectacular display of boundless enthusiasm, drive and determination in the RSA Student Design Awards at RSA House in London. This was the fruits of a competition in which all three teams focused on making learning about our cultural heritage exciting. They came up with amazing ideas from costume design, event organizing, doll and app design, all celebrating the diverse cultural make up of Bury and being proud of who we are. Their original submissions that wowed the judges consisted of six, detailed, A3 size boards. They seized upon their time to shine in the London finals and after each presentation they were delighted with their efforts as they exuded joy. The teams gave nothing less than 100 percent effort in their innovative ways in which they presented via drama and dance. The Derby staff were delighted with the dedication and commitment of the group and were proud to be associated with them. Nothing could be taken from the students, even though the winning prize eluded them. Their achievements and this experience will be something they remember as one of the many highlights of their school career.